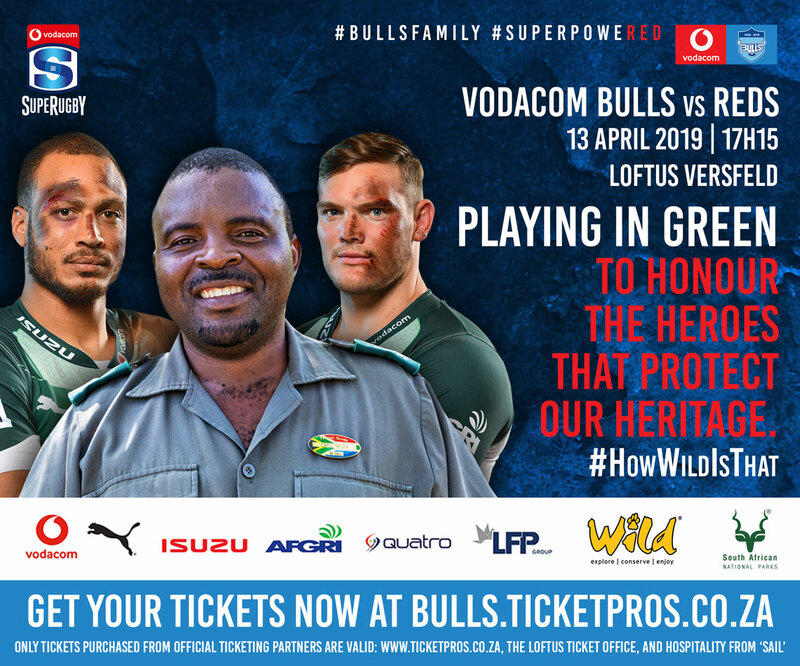 When the Vodacom Bulls face off against Australia’s Reds on 13 April 2019, they will do so in green jerseys. Their message: Show your support for the heroes that protect our wildlife. Will you also wear green for conservation? On 13 April 2019 when the Vodacom Bulls take on the Reds at Loftus Versfeld, they won’t be wearing their customary blue. Instead the team will sport green jerseys, a visible declaration of their support for SANParks’ rangers. The green jersey is actually the away strip for the Bulls, but the team wanted to go out of their way to signal their commitment to conservation − even giving up the colour that signifies their home ground advantage. With their green jerseys, the Bulls are raising awareness of the extraordinary effort made by rangers – but they need your help. You can support SANParks’ work by sending an SMS to 40401 at a cost of R20 or by making a donation online. Show your solidarity with the cause by wearing green on 13 April. And if you’re going to be at the stadium, let’s hear a big cheer for the heroes that protect our natural heritage!